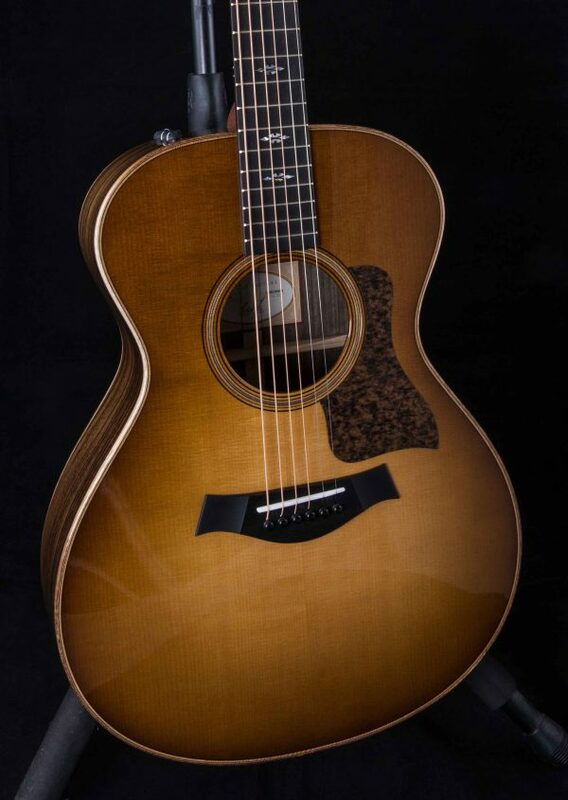 A Western Sunburst top and slotted headstock bring refined modern-vintage appeal to this 12-fret Grand Concert, featuring Indian rosewood paired with Lutz spruce. The 12-fret’s shorter neck meets the body at the 12th fret instead of the 14th, which shifts the bridge position closer to the center of the lower bout. The result is impressive tonal warmth and power from the smaller body style. 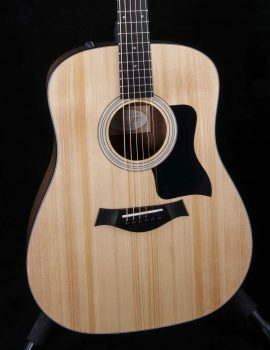 Rosewood back and sides flavor the sound with a sweeping frequency range, while Lutz spruce yields a dynamic response. The compact body emphasizes clarity and balance, and helps keep the overtones in check, making this a great option for recording both solo and with other instruments. The 24-7/8-inch neck adds slinky comfort to the playing experience. 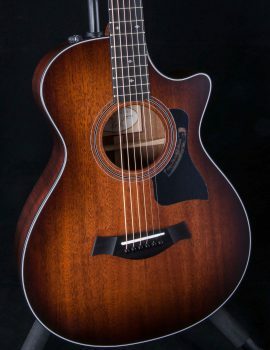 Wood-rich aesthetic details include Hawaiian koa binding, a herringbone-style rosette featuring Douglas fir with maple/black accents, and bias-cut Douglas fir top trim, while the “weathered brown” pickguard design complements the earthy color tones of the rosewood and wood trim. Taylor’s onboard ES2 electronics supply a top-notch pickup and preamp for impeccable amplified acoustic tone.